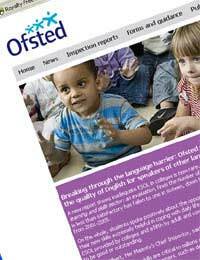 Ofsted or the Office for Standards in Education, Childrens Services and Skills is an organisation that inspects and regulates care for children and education and training facilities for learners of all ages. The Independent Schools Council is a politically independent organisation representing 1,280 independent schools across the UK and Ireland, teaching a combined total of over 500,000 pupils. Both of these organisations can be very helpful to parents looking to send their child to private school, and they are worth getting in touch with before deciding on a particular institution for your child. Ofsted exists in order to raise the aspirations and contribute to the long term achievements of ambitious standards and better life chances for their users. In turn, students’ educational, economical and social well-being will promote national success for the country. They do this by performing hundreds of inspections and regulatory visits each week, and publish their findings which are available to the general public. Well, having a huge wealth of information regarding schools across the country is invaluable to parents looking for a new school for their child. By visiting Ofsted’s web site you can access their independent reports and find out detailed information about the standards set at a particular school. Although they do no inspect all independent schools, you will many of them on their web site and the reports are easy to read and will give you a really good idea of the school and how well it performs. The ICS aims to represent the independent schools sector to government and media by engaging with complicated and politically sensitive issues, including child welfare, data protection, examination standards, university admissions, charity law and competition law. As well as representation, it also offers advice, guidance and information to schools on a wide variety of educational, legal and political issues. It does this by ensuring that they have a large database of research and that comprehensive evidence base available for all its activities. Their communications department is responsible for relations with regional, national and international media.The ICS is also responsible for a variety of other functions such as the induction and recruitment of teaching staff in many private schools, as well as inspections. As many independent schools are not covered by Ofsted, the ICS is a good place to go when looking for free, impartial advice and information. Their web site offers a lot of easily attained general information and will help put you in touch with a regional ICS adviser as well if you wish to talk to someone personally. You will find information on open days and how to attend, entry requirements, types of scholarships and bursaries offered and the variety of subjects, facilities, sports and activities on offer. You will also find links to inspections reports carried out by the ISIS (Independent Schools Inspectorate). These offer detailed information about the school, its strengths and weaknesses, quality of teaching, standards of attainment and much more. These reports are invaluable to the parents of prospective pupils, so it’s worth checking out the web site and searching for any schools you are considering for your child to see just how well they shape up against the competition.